1920s Indochina. In the wild, a pair of adult tigers have just had a litter of two male cubs. It is a loving family unit, with the two brothers having a bond through their adventurous spirit. In different incidents, the cubs are captured individually, and although both in captivity live very different lives. Their individual captures were directly or indirectly associated with the work of Aidan McRory, a treasure and big game hunter, whose main goal is to make as much money for himself by selling his largely illegally obtained artifacts and animal parts at auction in Europe. Through the process, he has an emotional connection with one of the cubs, who is eventually named Kumal, but of who he eventually loses track. 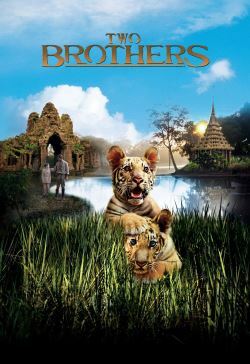 The cubs' lives are affected negatively by a number of other people who are working solely toward their own end goals, but the other cub, who is eventually named Sangha, also makes an emotional human connection to a young boy named Raoul Normandin, the son of the area administrator. Similar to Kumal and Aidan, Raoul eventually loses track of his tiger friend. The second year of the cubs' lives, they now full fledged adult tigers, is different than their first, with a question being how their individual experiences in captivity will affect how they function in their much different new environments. Both Aidan and Raoul are determined to do whatever necessary to make sure what happens to the tigers are for the benefit of the lives they should be leading based on their history, with Aidan and Raoul perhaps having a different perspective on what that actually is.